We love berries. We eat them every day. Sometimes we cook them, sometimes we eat them straight out of the packet. This blog is our way of sharing and showing off some of the ways we use our berries. We've prepared the recipes in our test kitchen - which doubles as our staff kitchen. We hope you enjoy these recipes and ideas as much as we do. I know that we see 'Treat Yo Self' everywhere, but maybe that's a good thing? It's incredibly hard to deny yourself every sweet thing - especially on special occasions (birthdays, anniversaries, graduations...). So instead of saying no, say the occasional yes to a healthier version! 1. Mix together the spread and sugar, before beating in the eggs. 2. Fold in the milk, banana, cocoa, and flours and then the chocolates and berries until just combined. 3. Pour the mixture into a lined 20cm tin and bake for 25 mins at 180°C, or until it is firm to the touch. We've all experienced that drop in energy (and motivation!) a couple of hours after lunch. It's hard not to grab the nearest snack food and devour it. Unfortunately, often the nearest snack food is not the healthiest! 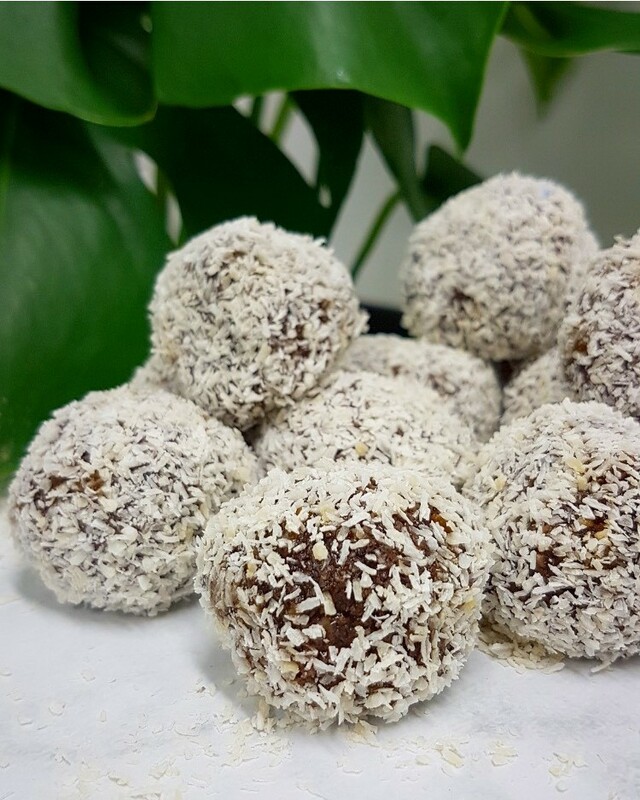 These little balls of goodness will give you an awesome boost of energy and are far healthier than that chocolate bar... Best of all, this recipe is quick and easy - it's all over before it even starts! 1. Thaw out some wild blueberries, keeping any juice that leaks out of the berries. 2. In a food processor, blitz up the dates before adding in all other ingredients, except the coconut. 3. Pulse the processor to blend together the ingredients. 4. Hand roll the mixture into small balls before rolling in coconut to coat. 5. Refrigerate for about an hour before devouring. While we're sure this is meant to be a lovely tea cake, it is also a superbly light birthday cake! Who doesn't gorge themselves on their birthday? It's one of the few days a year that you can do so, guilt-free. But, doesn't anyone experience that 'over full' feeling that means you can't really enjoy the cake?? What a waste! That's where this simple cake saves the day. 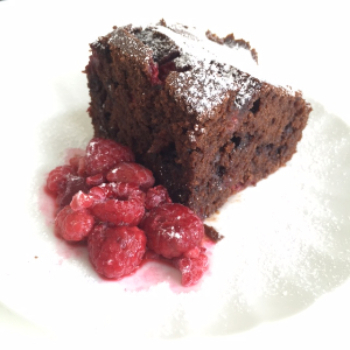 It is much lighter than a chocolate mud cake, but is just as scrumptious! 1. Light grease or line a round cake tin and preheat oven to 180˚C and thaw the blueberries. 2. Beat together eggs and sugar for about 5 minutes or until lightened in colour and thick. 3. At a low speed, beat in the sour cream, melted butter, and vanilla until well combined. 4. Add in the self raising flour, 1/3 at a time, gently mixing between each addition, adding in the lemon juice and zest with the last third. Be careful not to over mix. 5. Drain any excess juice from the thawed blueberries and coat with corn flour and lemon juice, mixing until well combined. 6. Pour half of the cake batter into the cake tin and spread out gently with a spatula. Spinkle half the blueberries over the batter. Spread the remaining batter and top with the remaining blueberries, pushing them slightly into the batter. 7. Bake for 45 - 55 mins. Let the cake rest in the tin for 15 mins, before removing to cool completely. Sprinkle with icing sugar and serve with a dollop of greek yoghurt. We thought we'd use some of the last warm, sunny weather for a well deserved Sunday Brunch! What says 'brunch' more than some delicious French Toast? And what goes more with French Toast than berries?! ... Nothing. This berry butter is so simple to make, but adds so much to your standard french toast. Even if you are not a butter person (myself included! ), the berry butter has so much berry flavour, you forget there's actual butter mixed in! 1. Beat the softened butter, then stir in the berries until just combined. Turn the butter out onto plastic wrap laid over a sheet of tinfoil. Wrap the butter up and twist the ends, twisting the butter into a taut, tube shape. Put in the freezer for 30mins to firm up. 2. Cut up the baguette, either in circle or long, diagonal shapes. In a bowl, whisk together the eggs, milk, sugar, and cinnamon. 3. Soak the baguette slices in the egg mixture for a few seconds before placing in a hot, buttered pan. Fry on each side for 2-3 minutes, or until golden brown. 4. Serve the French toast with slices of berry butter, topped with extra berries, Greek yoghurt, and a drizzle of maple syrup. Now that the weather is cooling down, we're excited to have an excellent reason to eat warm desserts again (you have to warm up somehow, right??) ! 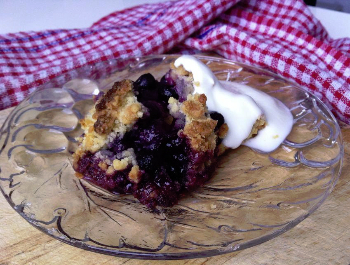 These blueberry crumble bars are quite versatile. 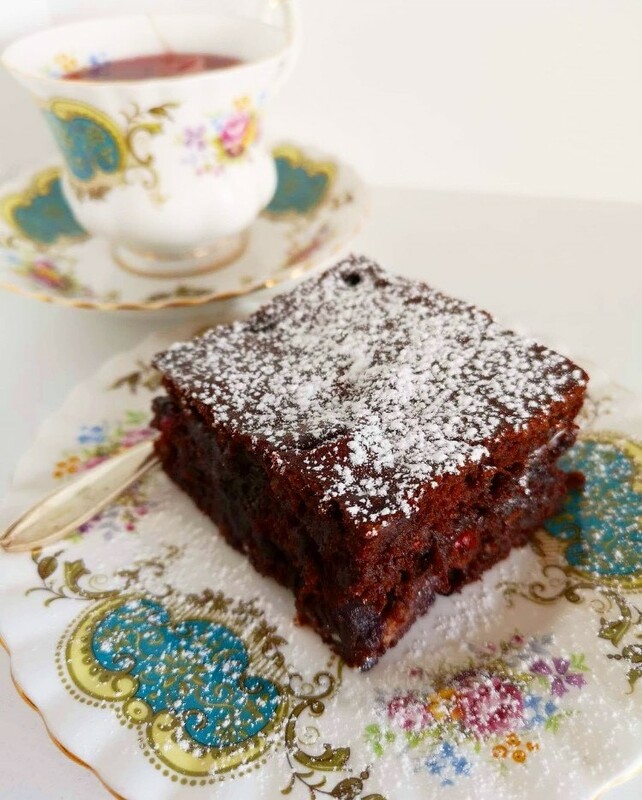 They're good for a morning/afternoon tea with visiting friends and family, but they're also perfect for dessert with some vanilla ice cream, while binge watching Netflix, under a warm blanket! They're so easy to make; you only have to use one bowl! In an airtight container, the bars will last about 10 days in the fridge. But we're sure they'll be gone long before then! 1. Preheat oven to 180°C and line a flat pan, about 20cm x 20cm. 2. To make the crumble and crust, in a large bowl, mix butter, flour, oats, and sugar together. The mixture should be like sand, with some larger crumble pieces. 3. Put 1 cup of crumble aside (for the top crumble), and press the remaining crumble into your pan quite firmly. 3. To make the blueberry filling, in the same (now empty) bowl, stir the blueberries, sugar, lemon juice, and cornflour until the blueberries are well coated. Pour the bluberries, and any liquid sugar in the bowl, evenly over the crumble base. 4. Take the crumble that was put aside and sprinkle over the blueberry filling evenly. 5. Bake for 55 minutes or until the crumble is pale golden and the filling has 'set'. Allow the bars to cool completely before cutting. Curd is an amazing thing. Both sweet and sour, creamy and fruity, it can really add some wow factor to a standard baked good! We made our berry curd with our Orchard Gold Super Fruits Mixed Berries. The blackcurrants in this mix are quite a sour berry, so it balances perfectly with the sweeter blueberries and sugar in the curd. As curd is quite a sweet thing, we paired it with a plain scone, but we know it would taste good - maybe even better- with some vanilla ice cream! 1. Defrost the berries in the microwave, then place the berries in a blend and blend until smooth. To ensure a smooth curd, remove the seeds by pressing the puree through a fine mesh sieve over a medium bowl. Throw the seeds out. You'll need a cup of seedless puree; anything extra can be kept in the fridge for another day. 2. In a saucepan, whisk together sugar and cornflour then stir in the puree, lemon juice and eggs. Over a medium heat, bring the puree to a boil, whisking constantly. Once at a boil, reduce the heat and simmer for 1 minute, or until the curd is thick. 3. Once thick, remove from heat and whisk in the butter. Leave to cool slightly, before spooning into a container to cool further in the fridge. Refrigerate overnight before using. Isn't it amazing how quickly the year goes? Christmas is right around the corner and we couldn't be more excited! We love spending Christmas Day with family, friends, and of course, good food. The festive season is always filled with holiday parties and dinners. 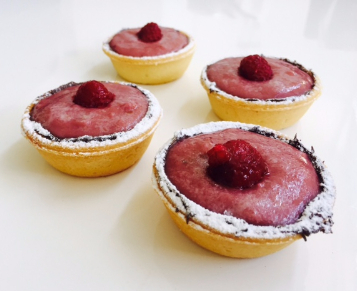 Here is a some delicious Raspberry Tartlets, a perfect finish to the feast. If you find yourself running out of time, as we all do at this time of the year, buy some ready made tartlets cases instead. 1. Preheat oven to 180degC. 2. For the pastry, in a food processor, mix together the flour butter and sugar until it looks like find breadcrumbs. Add in the egg and continue processing until it forms a dough. 3. Roll out the dough on a lightly flour coated bench. Cut the dough to line a 24 mini muffin tray and place a second mini muffin tray on top. Bake in the oven for 15 mins. Tip the trays upside down and remove the top tray. Return the bottom tray to the oven for another 5 mins. 4. For the Raspberry filling, puree the raspberries in a food processor and pass the puree through a sieve to remove the seeds. Add in the melted butter, sugar and eggs and place in a bowl over simmering water. Cook for 15 mins, stirring occasionally (to avoid overcooking the eggs!) until it is thick and 'sticks' to the back of the spoon. Remove from the heat and cool completely. 5. Before serving, coat the tartlet cases with a layer of melted chocolate chips and add a dollop of raspberry filling. Garnish with some extra raspberries and enjoy! Is there any better combination than berries and chocolate? We all love to have a balance of healthy foods and 'sometimes' foods in our lives, so why not try this delicious balance of Orchard Gold Raspberries and chocolate? 2. Beat together the melted butter and the brown sugar with a wooden spoon. Add in the eggs and beat until well combined. 3.Fold in the flours, cocoa and milk until just combined and then gently mix in the chocolate chips and the Raspberries. 4.Spoon the mixture into a medium sized greased tin and bake for 30 mins or until the cake is firm to the touch. 5. Serve dusted with icing sugar (or heated with a scoop of vanilla bean ice cream!). We love this cake because it is not overpoweringly sweet - it's the perfect balance! Find our Orchard Gold Berries at all leading supermarkets. After Labour weekend, it always feels like summer is really beginning. We love summer. Swimming at the beach, BBQs on the deck, jandal tan lines... What's not to love? With summer also comes gatherings of friends and families. This is a great recipe to impress. In a small saucepan bring the cream to a simmer and remove from heat. Add all other ingredients and stir until the chocolate chips have melted then whisk the mixture until it is smooth. Allow to cool completely and then whip with an electric mixer to the desired spreading consistency. This is a Raspberry and Chocolate Ganache layered Victorian sponge cake, topped off with some more delicious Orchard Gold Raspberries. Spring is nearly upon us! Not only are we starting to see daffodils popping up everywhere, but the days are getting lighter and the weather a little bit warmer everyday. We are ready for summer! But before the weather gets too warm, we thought we would sneak in one more 'wintry' recipe. This Blueberry Crumble Cake works well with the cross over of seasons and it's perfect for a morning or afternoon tea with a hot cuppa! 5. Crumble the rest of the base mixture over the berries. 4. In another bowl, mix in sugar, cornflour, and blueberries. Stir gently until the berries are lightly coated, then spread evenly over the base. 3. With a fork, blend in the margarine/butter and egg until it forms a crumbly dough like texture In a greased tray, place half of the crumble mixture and pat down to form the base. 2. In a bowl, stir together sugar, flour, baking powder, and cinnamon. 1. Preheat oven to 190 degreesto cool before cutting. Serving Suggestion: Serve with a dollop of Greek yoghurt or freshly whipped cream! Yum! Find our Orchard Gold Berries at all leading supermarkets. place over a low heat. Once bubbling, reduce the heat and cook for a further 3-4 minutes, stirring occasionally with a spoon to break up the fruit. 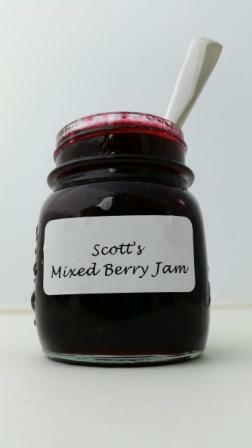 For this compote, I went with the Orchard Gold Premium Mixed Berries. This fantastic waffle maker is so easy to use. 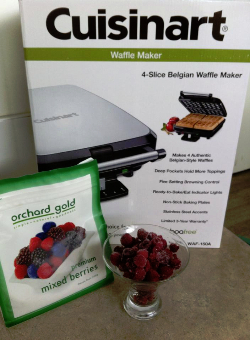 What a great way to start your weekend - waffles and a compote made from your favourite Orchard Gold Berries! Your recipe could even be featured on our blog! Entries close 31st July 2015. It's official. Summer is over and the cooler weather is starting to take over. As sad as it is to see Winter's arrival and the departure of the outside BBQing, we can't help but get excited over winter desserts! The cold weather is always a good excuse for a warm crumble, pie or pudding. Recently, we found this great recipe for a Mixed Berry Pecan Crisp. Its easy to make and even easier to eat! Chop up the pecans and combine with the oats, flour, coconut, salt, and cinnamon in a large bowl. Add the olive oil and maple syrup and stir until well mixed. 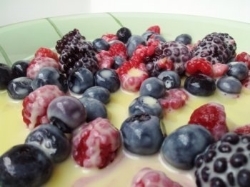 Grease a medium square baking dish and arrange the berries in the bottom. Top with the oat mixture. Bake for 25-35 minutes or until the top is golden brown and has firmed up slightly. Serve while warm. You can serve it with some vanilla ice cream or cream, as desired, or lightly dust the top with icing sugar. We love our Orchard Gold Supreme Blueberries. How could you not with these great health benefits?! 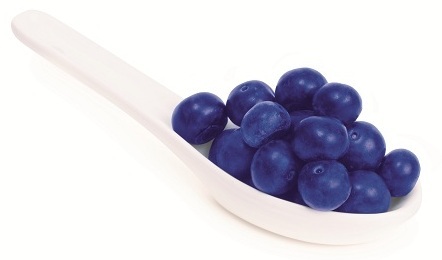 According to new research out of the U.S., Blueberries have even more great health benefits. the clinical trial showed that eating a cup of Blueberries, every day, can help to reduce your blood pressure and arterial stiffness. Arterial stiffness, often developed from hypertension, can lead to cardiovascular problems further down the line. In addtion to their low GI index and high antioxidant benefits, did we really need another reason to dive into some Blueberries? You can use your Orchard Gold Supreme Blueberries to flavour you morning porridge, surprise your children with a homemade blueberry muffin in their lunches, or better yet, eat the Blueberries as a healthy snack, straight from the packet! 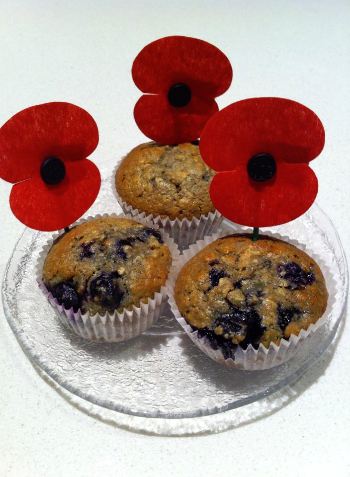 Here is a fun and easy ANZAC Blueberry Muffin recipe for the long weekend! This recipe makes about 18 muffins. Preheat your oven to 190 degrees and grease/line muffin trays. In a large bowl combine flour, baking powder, coconut, oats, wholemeal flour, brown sugar and stir in the blueberries. In a separate bowl whisk the eggs and then stir in the butter, milk, baking soda and golden syrup. Fold the wet ingredients into the dry. Mix very gently until just combined and spoon into muffin trays. Bake for about 12-15 mins (depending on your oven), until golden and the top of the muffins spring back when gently pushed. A great morning tea dish to serve and they also freeze well, so you can pop them in the kids lunches during the week! At the end of a busy week, a smoothie is a quick and easy way to re energise yourself for the weekend ahead. They are so easy to make and are filled with healthy goodness that will make you to want to seize the day! into a blender and process until everything is chopped up and well mixed together. You can also play around with what you add into your smoothie. Try mixing in a cut up apple, peaches, nectarines or an orange. Smoothies are one of the easiest things to make and it is hard to go wrong! I love to use sugar-free Cranberry Juice as my liquid. Berries are naturally quite sweet. I find the Cranberry Juice enhances the berry flavour of the smoothie, without over sweetening it. Over the weekend, why don't you check out our Instagram page? Lots of great ways to use you Orchard Gold Berries and you can keep up with the lastest from Orchard Gold. Here's a quick and tasty dessert for Easter. Also great to make with the kids in the school holidays. 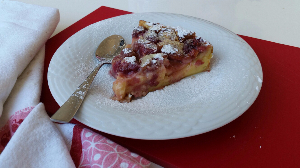 A clafouti is a French dessert - usually made with cherries, but we've used Orchard Gold Raspberries. It is topped with a pancake mix and baked. Enjoy. Grease or spray a 23cm pie dish. Sprinkle the Orchard Gold raspberries on the base of the dish. In a large jug whisk the remaining ingredients together to a smooth puree. Pour this over the raspberries. Bake for 40-45 minutes until golden brown and set in the centre. Remove from the oven and rest for 10 minutes. Slice and serve dusted with icing sugar. We're all flat out this time of year. End of school term, preparations for Christmas, organizing summer holidays ... why we do all three things at the same time beats me! Orchard Gold blueberries - straight from the pack. Try a couple of tablespoonfuls. Sweet and juicy. An instant lift. Orchard Gold berries with yoghurt. Spoon a few dollops of yoghurt into a pretty glass, top with Orchard Gold berries ... any variety will be fine. Leave for a few minutes for the berries to start to thaw, then spoon through the yoghurt. Make up some berry ice blocks - place frozen berries into ice block trays or plastic ice blocks, top up with apple juice, put a stick in if required, and freeze. Come evening, pour some sparkling wine over your Orchard Gold berries and relax. We had some delicious blueberry crumpets while on holiday at a cafe recently ... Cafe Reka in the Dowse Art Museum in Lower Hutt ... they were fantastic. Served with grilled bacon and banana, and a little maple syrup. That got us thinking about crumpets and how to cook them and how best to incorporate the blueberries. Here's our first attempt ... they didn't last long. In a separate bowl, whisk together the flour and salt. Add the yeast starter when it is ready, and stir until the mixture forms a dough. Cover with a clean cloth and set in a warm place to rise for 45-50 minutes, until doubled in size. Mix the baking soda into the last lot of warm water. Whisk this into the dough until it has formed a batter. Cover again and leave to rest for 30 minutes. Heat a large frying pan or hotplate on a medium-low heat and grease it with oil or butter. Also grease the crumpet rings. (We used egg rings as we didn't have anything else ... they were fine, but made smaller crumpets than bought ones). Place the rings into the pan and pour a tablespoon of batter into each ring. Sprinkle several blueberries - we used 5-6 per crumpet on the batter, then top with some more batter, so that it comes up to the top of the ring - about 1cm high. Cook for about 4-5 minutes until bubbles appear and pop, and the top is slightly dry. Remove the rings and turn the crumpets over to cook the other side for 1-2 minutes. Serve drizzled with maple syrup or a little icing sugar. How do you make crumpets? What other berries would be great in the mix? We think: Yum - our new favourite! 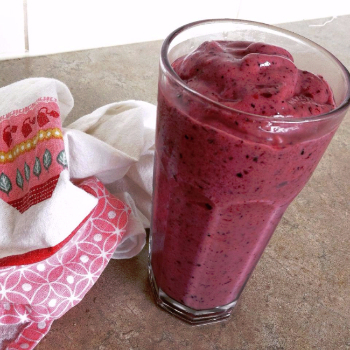 Using frozen berries, cranberry juice, So Good Lite and So Good Vanilla frozen dessert. We think: great for those of us with dairy allergens. Using frozen berries, goji berries, yoghurt, ground linseed, apple, water, and honey or stevia. We think: Mmmmm. Great taste, and good for you. 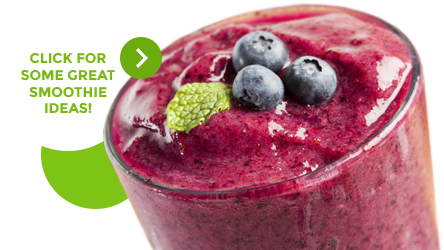 With frozen blueberries, trim milk or water, vanilla protein powder or yoghurt, spinach, ground LSA and cinnamon. We think: Our favourite of all smoothies ... all that goodness in a glass! Get your new Spring on, with Orchard Gold Berry Smoothies. We’re celebrating Fallow Day today! We hope you’ll join us. What’s Fallow Day? There’s such a long gap between Queen’s Birthday and Labour Weekend - we reckon New Zealand needs another holiday right about now. Today its raining and the sky has that Auckland grey look. Our lands and gardens are lying barren after winter, yet we’ve got glimpses of the light of spring, and we’re starting to feel warm and spirited! So we take a day, when nature lies fallow and the human spirit tends to gloom, to gather the whanau together and celebrate all that we have, because we know that spring is not far away! And to help celebrate Fallow Day, we're having berries with champagne and chocolate. What will you be doing? We've been making jams with Orchard Gold berries. And of course we've been testing them! How do we like berry jam? On crunchy toast or hot buttered crumpets; mixed into a pottle of plain yoghurt; warmed over ice cream; on pikelets or pancakes. Here are some of the jams we've made ... do try them. Simmer the Blueberries for about 5 minutes in a large saucepan. Add the lemon juice, then the sugar, and stir until the sugar is dissolved. Boil the jam steadily until it reaches setting point. Sterilize jars and lids. Pour into the jars and seal while hot. Place raspberries and sugar in a large saucepan and bring to the boil slowly, stirring to dissolve the sugar. Add the lemon juice and butter. Boil steadily for about 10 minutes, then test for setting. Sterilize jars and lids. Pour jam into jars and seal while hot. Place the Orchard Gold Mixed Berries and sugar in a large saucepan and bring to the boil, stirring to dissolve the sugar. 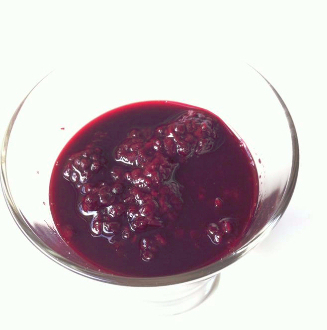 If desired, mash the berries to break up the bigger berries, but they will turn pulpy while the jam is cooking. Boil steadily for 10 minutes then test for setting. 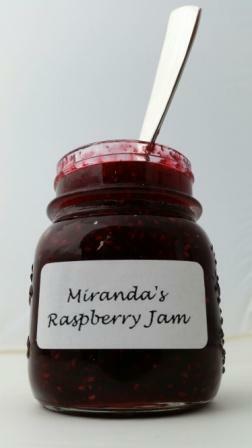 To test for setting, remove the jam from the heat and place a tablespoon of jam on a saucer. Put the saucer in the fridge for a couple of minutes, then remove from the fridge. 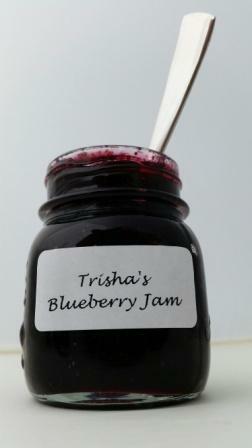 Run your finger through the jam and if the jam leaves wrinkles on the surface on either side, then it will be ready. If not, return to the heat and boil for another five minutes then test again. We all enjoy eating berries - most of us eat them every day - breakfast, smoothies, after workouts, baking, desserts. In mid-winter when the options for fresh fruit seem limited to apples, kiwifruit, bananas and pears (all good fruits too) frozen berries come into their own. No waste, always available, always good for you. And it's only Thursday! All the recipes are on our website. Look under recipes.